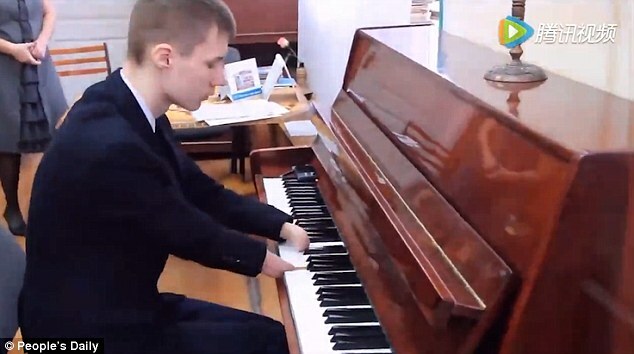 According to reports, Romanov, who was born without fingers and only one leg, was adopted in Russia by his parents 2 years ago, who realised his love of music. With their gift to him of a symphasizer at a young age, he began a passion for music, and has never let his disabilities hold him back. From this, Romanov began to start playing the digital piano, eventually being invited to join a prestigious music school in Kazan, after showing natural apitude to the keys. He went viral after appearing on the Russian show “Guests from tomorrow” -showcasing the very best in young talent of the future. He played River Flows in You, a composition written by South Korean pianist Lee Ru-ma for the multi-award winning blockbuster Twilight saga. Viewers of the show flocked to social media to express their awe and admiration for the shy teenager, not holding vack on the praise. You can see for yourself Romanov’s outstanding performance here. He claims that despite having the use of prosthetic arms, he achieved his dreams on the piano the way he was born, and he therefore intends to keep it that way.